George Lucas rings in his retirement by handing over Lucasfilm to Walt Disney Company. The announcement came today via a press release and a video from The Disney Post. You can see both below. Lucas announces in the video that they do in fact have plans for Episode 7, 8, and 9 from the Star Wars universe. Bob Iger mentions television shows as well. Could this mean we will see the Star Wars TV show that Lucas had 100 episodes written and not enough money to bring to the small screen? Perhaps. I think most Star Wars fans are filled with mixed feelings at this moment. Can you trust Disney with the SW franchise? I think so. Look at how they have allowed Marvel to create some of the best superhero stories ever brought to the big screen. Pixar, even with its last two mild box office features, continues to excite audiences. This could be the move that Star Wars fans were needing in order to bring more stories into their home. As a parent of two young children, I am one of those people who is ecstatic about this new venture. My kids are fans of the original Star Wars and would love to have the experience of seeing a new Star Wars film in the theaters. 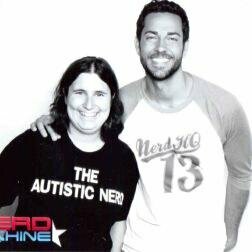 I’m sure we will hear more at SDCC 2013 or at Disney’s D23 Expo. I know what you’re thinking. What about Howard the Duck? Reboot!? Do you have what it takes to walk down the grid carpet? Well now’s your chance, User. 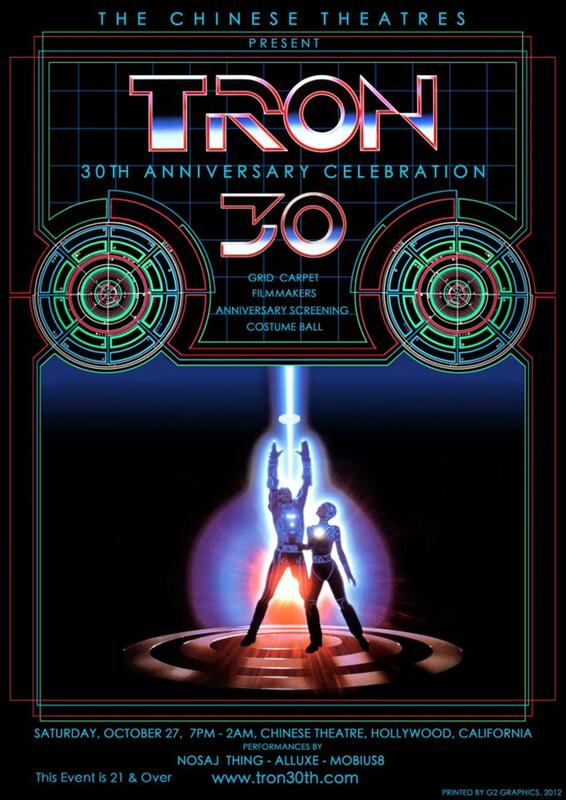 Tickets for the TRON 30th Anniversary Event at the Chinese Theatres in Hollywood on October 27th are now on sale! Click here to purchase them! The event — which will run from 7 PM till 2 AM that day — will include a screening of the original 1982 TRON movie, a panel with the filmmakers, a costume contest, and an after party — all in an exciting TRON-like environment! – Please note that this is a 21+ over event. * Ticket prices are subject to increase. OMG “Iron Man 3″ trailer has landed! It’s amazing how much they can pack into a two-minute trailer. I was already looking forward to this movie but now I wish I had a time machine (or TARDIS) to make is May 2013. I don’t even know where to begin. You want suits? We have suits. You want explosions? We have explosions. You want Pepperony with some added drama? Yup, we got that too! You want a ton of emotions that you weren’t prepared for and have no idea what to do with? Done. What do you think of the trailer? Does it make you more excited? Does it just add to your list of questions? 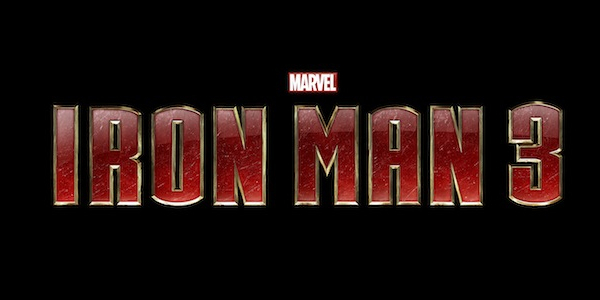 Iron Man 3 is set to hit theaters on May 3, 2013. Directed and co-written by Shane Black (Kiss Kiss Bang Bang), the new Iron Man film has finally got an official synopsis. Riding on the heals of Thor: The Dark World recent plot synopsis, and not to be outdone. See the official synopsis below, care of Walt Disney Pictures. Marvel is also offering fans an exclusive look at the Iron Man 3 trailer if they can gain a specific amount of “Likes”. Check out their Facebook Page and see if you can help unlock the trailer. New York, NY—October 15, 2012—Get ready for a behind the scenes look at making comics like never before as Marvel and MTV Geek have once again joined forces to produce Marvel NOW! : Behind The ReEvolution! This all-new video series going behind the scenes of the year’s most anticipated comic book event grants fans unprecedented access into the Marvel offices, creative retreats, key planning meetings and creator studios! This new documentary from MTV Geek shows just how NOW! was developed by the brightest minds in comics. Each episode will debut exclusively on MTV.com beginning October 10. Kicking off in October, Marvel NOW! unites the top talent in the comic industry—including Rick Remender, John Cassaday, Brian Michael Bendis, Stuart Immonen, Jonathan Hickman, Jerome Opena & so many more—for the biggest stories of the year. In the fallout of Avengers Vs. X-Men, watch the Marvel Universe rebuild itself in a way no one will ever forget! This October, fans get a unique look at the Marvel NOW! Initiative and all the great new series in Marvel NOW! 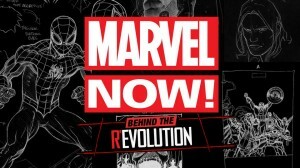 : Behind the ReEvolution at http://marvelnow.mtv.com. And on October 10th make sure to pick up your copy of Uncanny Avengers, in comic shops and on the Marvel Comics app. Marvel’s November 2013 release of Thor: The Dark World got an official plot synopsis care of Walt Disney Pictures. -Marvel’s “Thor: The Dark World” continues the big-screen adventures of Thor, the Mighty Avenger, as he battles to save Earth and all the Nine Realms from a shadowy enemy that predates the universe itself. In the aftermath of Marvel’s “Thor” and “Marvel’s The Avengers,” Thor fights to restore order across the cosmos…but an ancient race led by the vengeful Malekith returns to plunge the universe back into darkness. Faced with an enemy that even Odin and Asgard cannot withstand, Thor must embark on his most perilous and personal journey yet, one that will reunite him with Jane Foster and force him to sacrifice everything to save us all. Starring Chris Hemsworth, Natalie Portman, Tom Hiddleston, Stellan Skarsgård, Idris Elba, Christopher Eccleston, Adewale Akinnuoye-Agbaje, Kat Dennings, Ray Stevenson, Zachary Levi, Tadanobu Asano and Jaimie Alexander with Rene Russo and Anthony Hopkins as Odin, “Thor: The Dark World” is directed by Alan Taylor, produced by Kevin Feige, from a story by Don Payne (credit not final) and screenplay by Christopher Yost and Christopher Markus & Stephen McFeely (credit not final) and is based on Marvel’s classic Super Hero Thor, who first appeared in the comic book “Journey into Mystery” #83 in August, 1962. So it looks like Thor will be in battle against Malekith, ruler of the Dark Elves. We still have an entire year before we see Thor on the big screen again. Bit by bit, Marvel will continue to give us just enough to keep us excited. Iron Man 3 is set to release on May 3, 2013. We may get a post credit sequence teaser of events taking place in Thor: The Dark World. Until then, enjoy the synopsis above and wait patiently. Marvel Studios, in conjunction with Walt Disney Studios, have made it official…Ant-Man movie will be released on November 6, 2015. This will be six months after the release of The Avengers 2. So, can we assume Ant-Man won’t be in The Avengers 2? Perhaps. In the meantime the speculations can begin on who will play Dr. Henry Pym, A.K.A. Ant-Man. 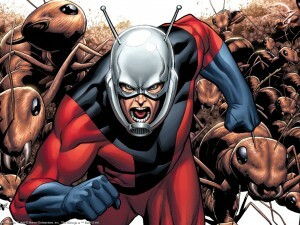 Ant-Man will be directed by Edgar Wright (Scott Pilgrim vs. The World, Hot Fuzz, Shaun of the Dead). A spec script has already been written by Wright and Joe Cornish (Attack the Block). With this new Green Light, we can expect lot’s of exciting developements over the next couple years. Who do you think should play Dr. Henry Pym/Ant-Man?